“This non-conference season has given us a great opportunity to improve on these things and find the little bits of improvement gained every day," said Lori Culler. In this young 2016-2017 season, the Foresters have proven they are a gritty bunch who will be tough to handle in the upcoming conference season. Through the first five games, Huntington tallied a 4-1 record with three of those victories ending in a double-digit advantage. Through those five games, the Foresters are paced by senior guard Miranda Palmer, averaging 20.6 points per game, sophomore forward Brooke Saylor, averaging 8.2 rebounds per game and sophomore guard Maddie Richer, who averages just over two assists a game. A common agreement between coaches and players alike is that the team chemistry has been superb during the beginning of this season. Palmer attributes the team’s early success to this camaraderie. The strong team bond on this team will likely prove key to competing in an always competitive Crossroads League. The Foresters handed #11 Goshen a loss when they opened conference play at Platt Arena Nov. 22. The game went to overtime before the score was settled at 86-83. Palmer paced HU with 20 points, while Allyson Trout chipped in 17. 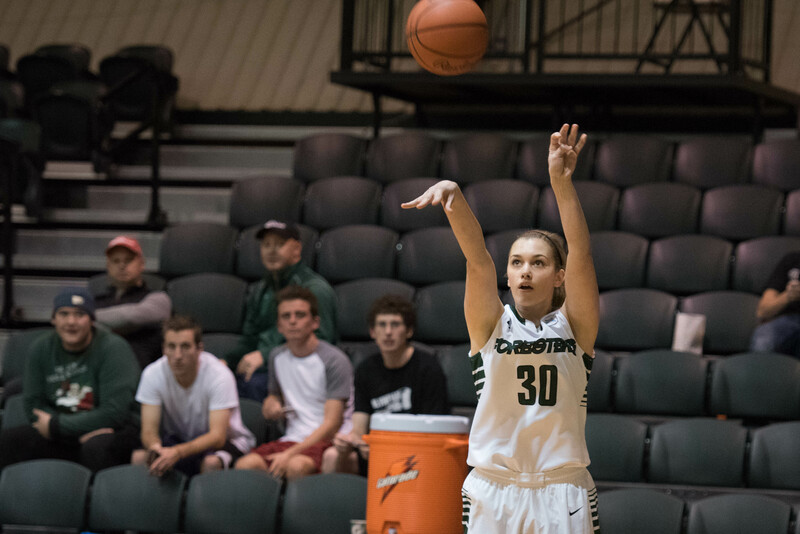 The non-conference games have been beneficial for the Foresters as they have been able to hone in on some of the small things and get lots of players some experience on the court before challenging conference opponents. The Foresters played two ranked opponents before Goshen. They dropped a one-point loss to #5 University of Saint Francis (Ill.) and were defeated on the road Nov. 5 at #8 Davenport University. “One of our goals for the season is to be one of the top four teams in the Crossroads League this year and to defy other peoples’ expectations,” says Palmer. They were ranked #6 in conference preseason predictions. Freshman forward Sarah Fryman says that a strong mentality will be important for the Foresters down the stretch. “We will need to come out hard at the beginning of games and make sure that we push our pace and not fall into the other team’s style of play,” she said. The Grace Lancers will travel to HU tomorrow for a 7 p.m. start time.